UPDATE: Please note that the code in this post no longer works due to changes in the Google maps API. Please see my latest post about this. So you have looked at the free Find Nearby app and decided it was cool but didn't fit your needs. Maybe you even looked at someone's google maps mashup with salesforce and decided you want to develop your own integration with google maps. This is the road I recently went down. To show items on google maps, you need the Longitude and Latitude coordinates. You can get these for a given address by using the google geocoding service. The thing is you are only allowed a total of 2500 requests per day (per IP address) and you must space them out. I haven't found any documentation on the limit per minute but it appears you need to space requests out by at least 200ms each. This can make for a really slow painting map if you have alot of points. Google recommends that you cache out your geocoding results so that you can quickly render maps on the fly. This post is going to look at how you can do this (for billing addresses on accounts) in apex on salesforce.com. These fields will hold the results of the geocode request. Please note that the text fields are longer than needed given the current resolution of google's geocoding service. This was done to leave room for greater detail in the future but you can limit them if you need to save space. Google's current length is 18 characters all inclusive. These fields (again on the account object) will be used to insure previous attempts don't get repeated until after the initial process (i.e. untouched entries will always get priority). 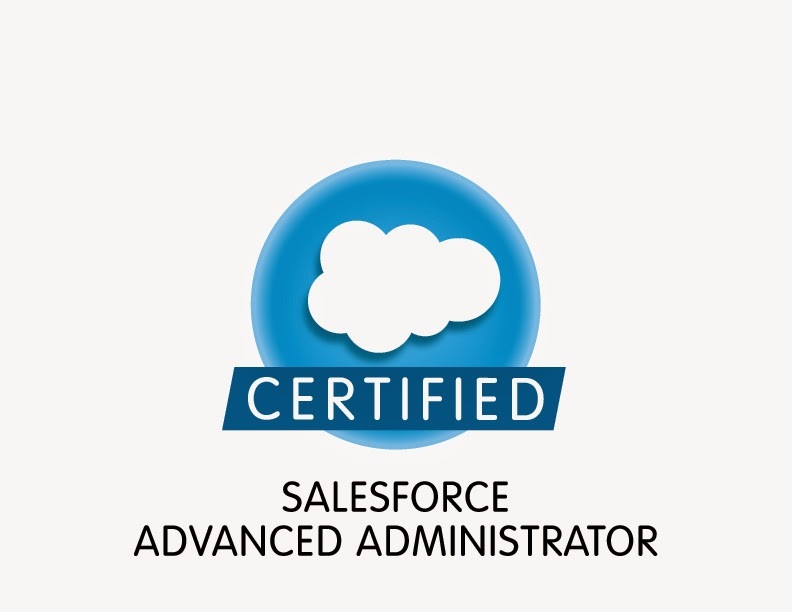 Next, you will need to setup a remote site because the salesforce documentation indicates that "Before you can access external servers from an endpoint or redirect endpoint using Apex or any other feature, you must add the remote site to a list of authorized remote sites in the Salesforce user interface. To do this, log in to Salesforce and select Your Name | Setup | Security Controls | Remote Site Settings." Nice Coding for GeoLocation Updater. Is it possible to show the accounts in the map which are nearBy City or State or ZipCode in visual force page. Can you post that code also. Thanks for the kind words. I am happy that you find the example useful. I am working on a follow-up post to cover some of your concerns. Look for it on the main page sometime in the next week. I have posted a follow-up and it can be found here. I am unable to view your code .can you please publish it again.. Anonymous, java script is required to view the code on the page as I am using a syntax highlighter. If you have java script enabled, would you mind telling me what browser you are running? That way I can look into and possibly fix the issue long term. Thanks for your work, this is working perfectly. A question remains, the limit of 2500 requests per day is per IP address, but what is the ip google api sees ? Since this runs as a scheduled class on Salesforce servers, Google should see the public IP address of the server that the class runs on. I have seen some requests in my systems fail seemingly randomly but I suspect it was because the running server hit the daily limit. When this happens, the system admin may get an apex exception email but it doesn't seem to happen often and isn't a big deal as the next run usually completes just fine. Please note that this is different than using java-script to do geocoding on the client side (which has its own limits). I am not sure how the HTTP call-outs are handled on Salesforce but if they are handled in the same fashion as emails, then the IP will be from a pool of addresses and as such is likely to vary across different calls. In the case of email servers, I think they use a pool of 52 addresses. Given that this is a shared platform, I don't think it is wise to assume that you should or that everyone could go over the 2500 limit by use of the IP pooling. Further, since you can't know that the IP address will be different it is probably best to stay at the 2400 requests per day as given in my example. Salesforce also imposes a limit on the number of future method invocations: 200 method calls per full Salesforce user license or Force.com App Subscription user license, per 24 hours. This is an organization-wide limit. Chatter Only, Chatter customer users, Customer Portal User, and partner portal User licenses aren’t included in this limit calculation. For example, suppose your organization has three full Salesforce licenses, two Force.com App Subscription licenses, and 100 Customer Portal User licenses. Your entire organization is limited to only 1,000 method calls every 24 hours, calculated as 200 x (3+2), not 200 x (3+2+100). I am trying to build this APEX class listed above but when testing the execution I receive a error "line 9, column 34: Only top-level class variables can be declared static" any reason why this is happening? what does this mean? If you are building the "GoogleGeoCodeUpdater" class, then you need to make sure that you are doing so in its own file. You can't make this an inner class as the use of static variables isn't allowed in inner classes on the salesforce platform. See this link for more details as to why. You should end up with 2 .cls files, one for the updater and another for the schedule class. I just did a copy and paste of the "GoogleGeoCodeUpdater" class above into a development org on API version 26 to confirm that it does save without error in the eclipse editor. I have saved both files as directed above and uploaded them into the "Static Resources" section on Salesforce. Am I missing a step I am not seeing anything populate in the Geolocation field. These files are apex classes and shouldn't be loaded as Static Resources. To create these classes in the web interface, login to your salesforce sand box (please note you can't directly save these in a production environment). 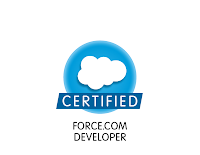 Then once logged into Salesforce, Click Your Name | Setup | Develop | Apex Classes and click New. Then copy the first class and save it using the name indicated. Then repeat for the other class. This should result in one class named GoogleGeoCodeUpdater and another named ScheduleGoogleGeoCodeUpdater. Then select Your Name | Setup | Security Controls | Remote Site Settings and add http://maps.google.com as an authorized remote site. Once you have saved these files and added the trusted site, you will need to schedule the classes to run using anonymous apex. You can access anonymous apex in the developer console. Once the scheduled class is triggered (at the top of the hour in the example given), it will start geocoding your accounts. Once you are happy with the test in the sandbox, you can use your deploy tool to send these classes to production. Once the classes are deployed in production, you will need to add the remote site to the production instance and schedule the geocoder to for production. Please let me know if you need more help getting this going. "No such column "GeocodeLastUpdated_c" on entity "Account". If you are attempting to use a custom field name. Please reference your WSDL of the describe call for the appropriate names." This post was originally meant for developers. To assist administrators in getting this going, I have created a managed package that will automate the install. Please see my post about this managed package and let me know if it works for you. I have a requirement to show all location of records in googelmap to display in visualforce page.Already am done, shown one account record in googlemap using visualforce. If you browse the rest of this site you might find an example long the lines you are looking for. This post was orignally meant for developers. To help automate the process for users / administrators, I have created a managed package that is easy to install. Please delete your apex class and install the managed package instead as it will create the fields, add the classes, and schedule them for you.